Thanks for visiting your local oil boiler service specialists, boiler services Meath. Our team of fully qualified oil boiler servicing technicians have been helping the people throughout county Meath for over 30 years now. During this period the success of our company continues to grow. This we believe is due to a number of reasons, just take a look at our customer charter below. Boiler Services Meath oil boiler service customer charter. Reliability. We strive to be on time for all of our appointments where humanly possible. If we are running slightly late we always inform our clients. Pricing. We are competitively priced, all prices are given up front without hidden fees or charges. Customer service. Our staff take great pride in being polite, courteous and helpful at all times. We go “the extra mile” to ensure complete customer satisfaction. The honest approach. We quote all prices up front so there is never any confusion. We never add any hidden fees or charges such as travel time or call out fees. Efficiency. We use our expertise to complete all work as quickly as possible, it could be an oil boiler service or emergency repair. We do not prolong the job so as to charge extra. Health and safety. All of our staff are highly trained in H & S and follow all rules stringently. They are all fully qualified and R.G.I. compliant. Our staff are fully flexible, if you pre book an oil boiler service it can be for the evening, early morning or weekend at no extra charge. We understand that people have busy lives so we arrange a time that suits you. Why should I have an annual oil boiler service? To save money in the long term. Your oil boiler will become less efficient the longer you have been neglecting a service the more sooting and dirt will build up. A recent study indicates that having your oil boiler serviced after 3 years will save upwards of 14% on your annual heating costs. Ensuring you’re getting the optimal start up performance. A trained engineer cna detect strange noises whilst doing this. If it is a part that’s about to fail, an on site fix works out a lot cheaper than an emergency call out or even a new boiler. Health and safety. Your engineer will check all safety controls whilst servicing. Oil boilers can be known to develop small leaks that can go unnoticed but can prove to be very dangerous. Similarly to motor vehicles an oil boiler can run for years without a service though it will probably be running with very poor fuel consumption, safety implications and prove to be unreliable. 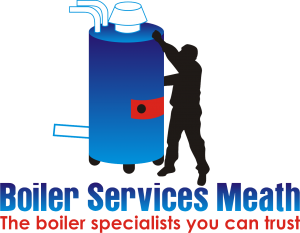 For your annual oil boiler service call boiler services Meath today on 046-9011255.